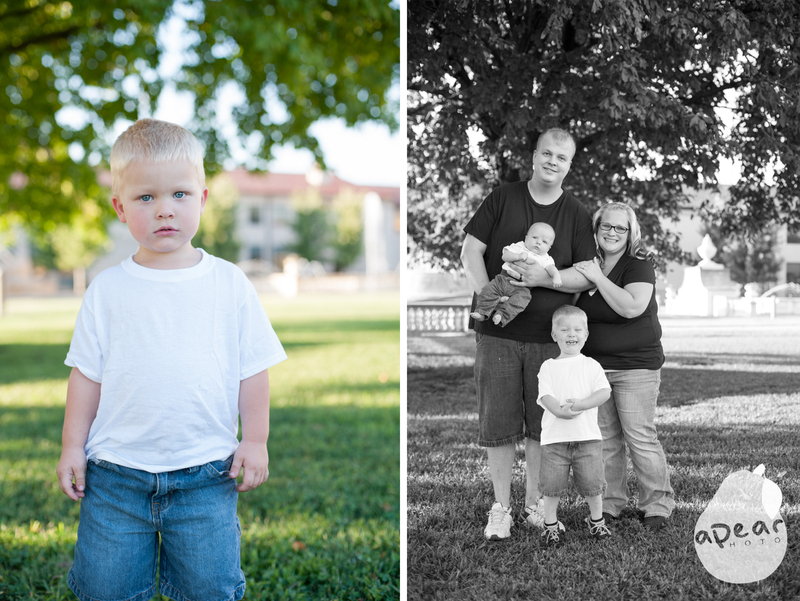 I had so much fun last Tuesday photographing a familiar face and her lovely family at Unity Village. Ashley and I went to High School together, and it was so good to see her and catch up, as well as, take some great pictures of her family. 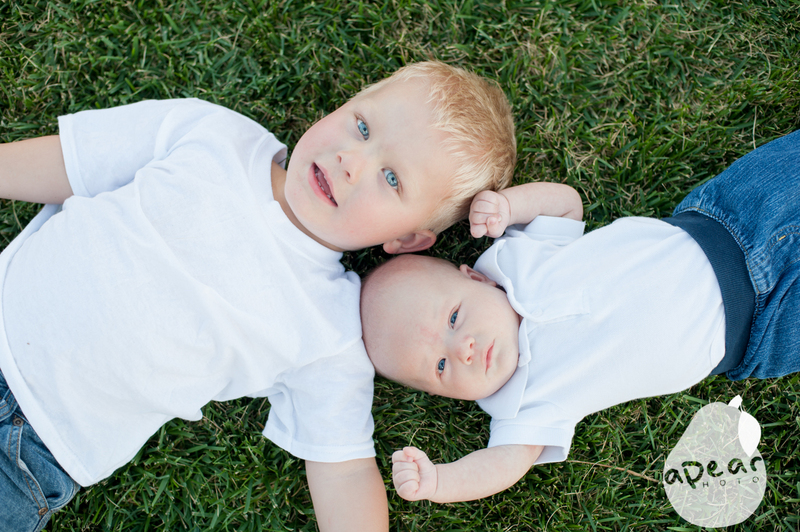 I can’t believe she has two handsome little guys now. 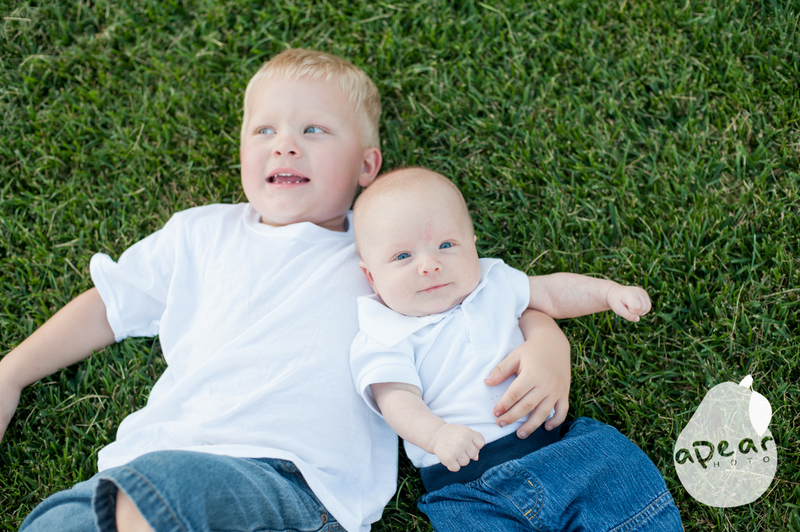 Jacob and Caleb, who by the way, did a great job for being 3 years old and 3 months old. 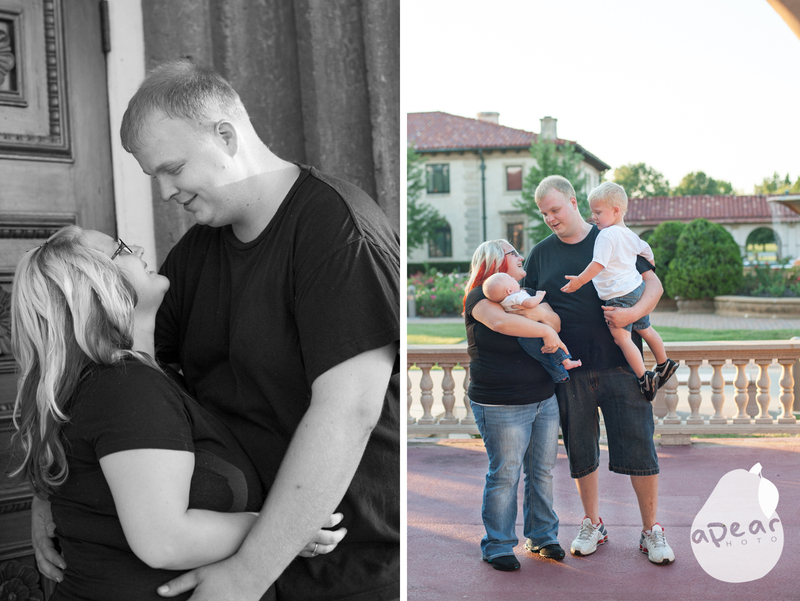 Ashley and Josh are high school sweethearts, and it brings a smile to my face thinking about how close and in love they still are today! So glad they found lasting love and have come so far together. Baby Caleb is the newest edition to the family and he was a cutie! I love how much of each parent I can see in him, his dads expression and his mom’s great smile! 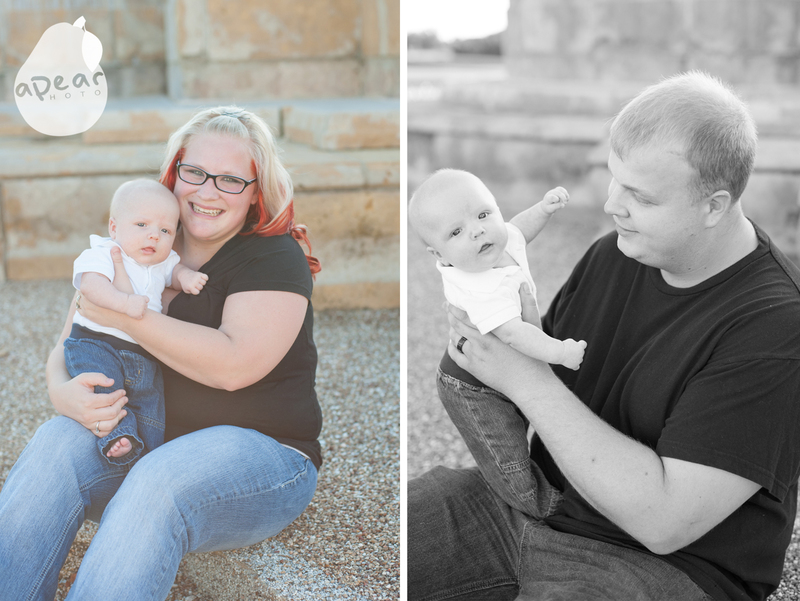 Jacob was so sweet and loving during our session. 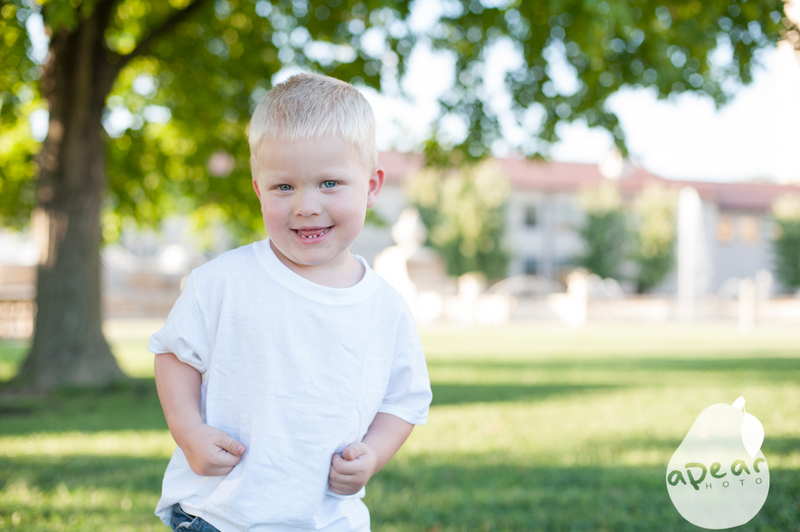 He was also a little ornery which is always fun to capture! I was just impressed with him, 30 minutes is a long time to keep a 3 year old interested, and he was a trooper! 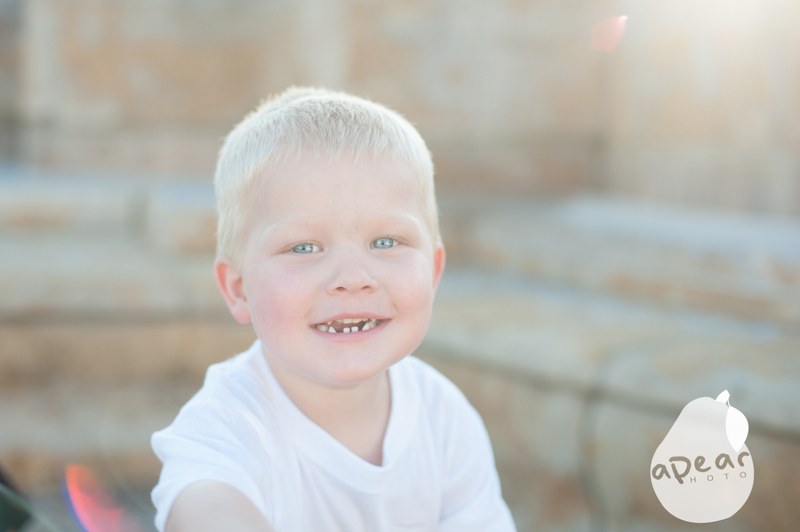 Above is one of my absolute favorites of the session. 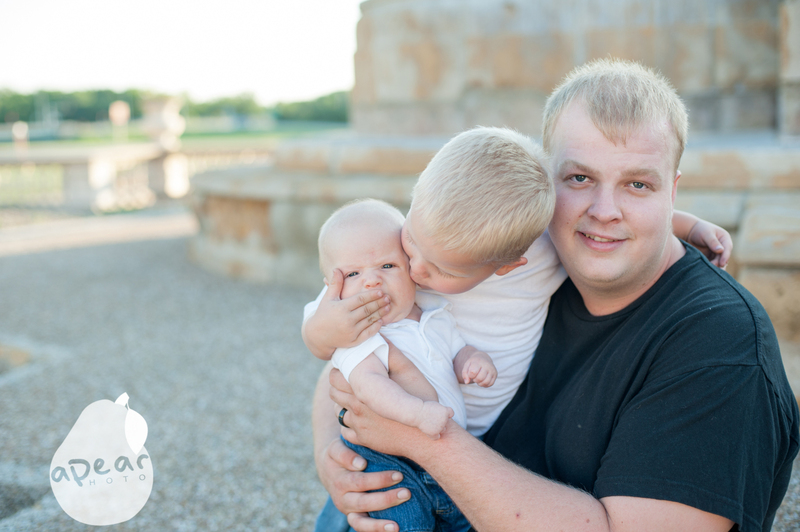 Jacob loving on caleb, but apparently he didn’t want him to make a sound….too cute! 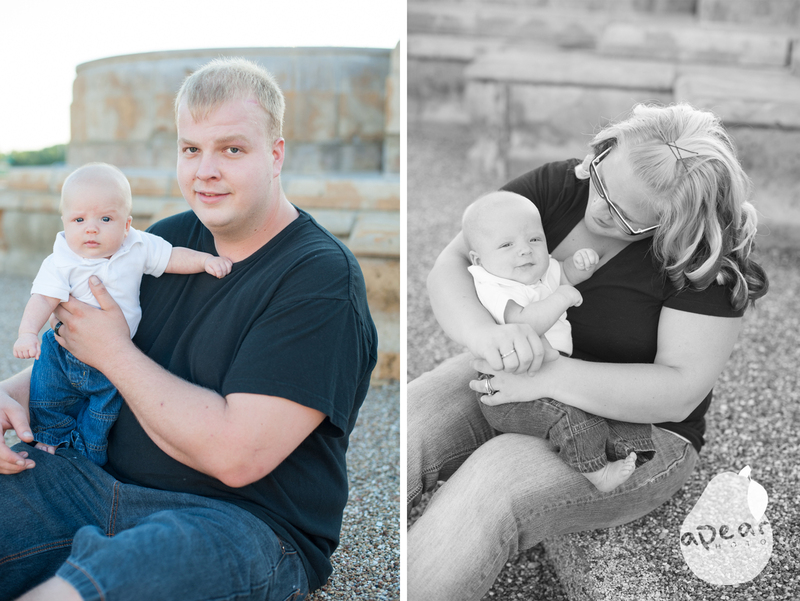 Baby Caleb did great the entire session too. He is such a sweet baby. Jacob showed me all of his little personality and I was taking full advantage of that! 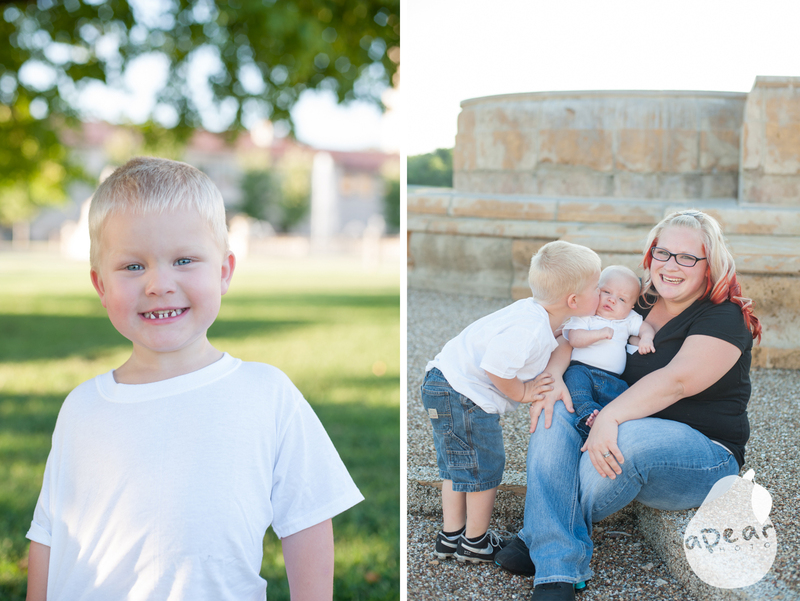 Oh to be three again…. 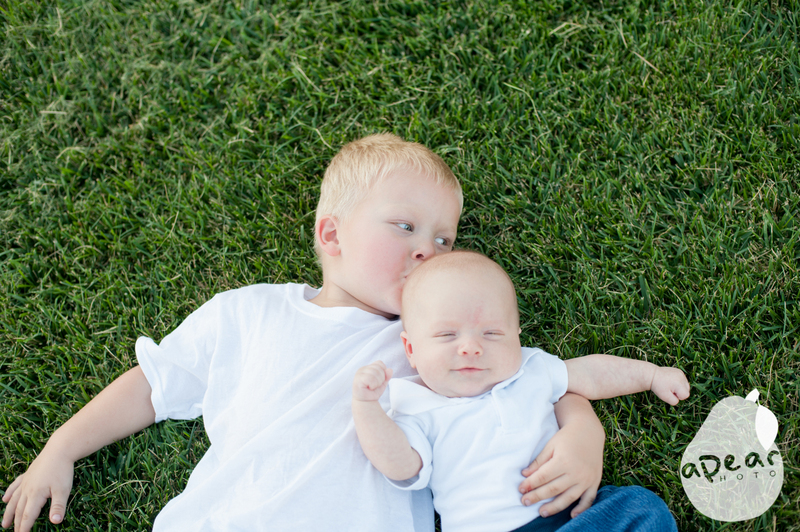 Love Caleb’s smile in this brotherly love pic. Sibling love is such so precious! 8 Years and their love for each other is so genuine! I completely admire that about them. 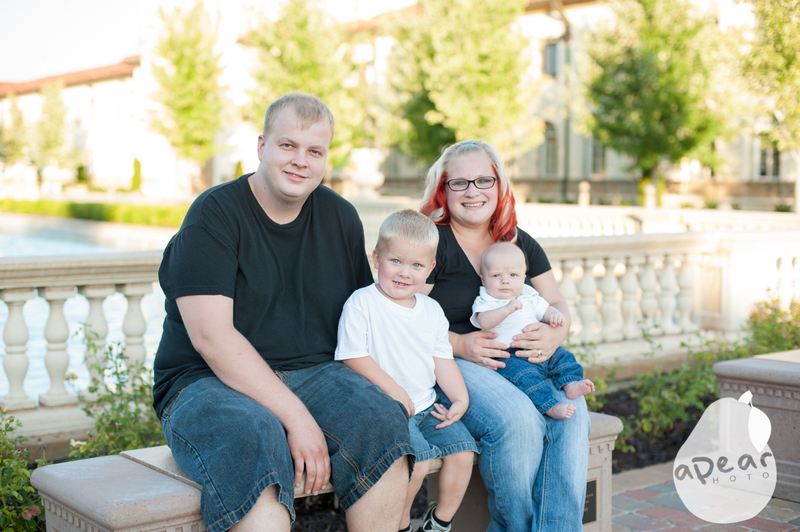 They are great parents and they have such handsome boys. 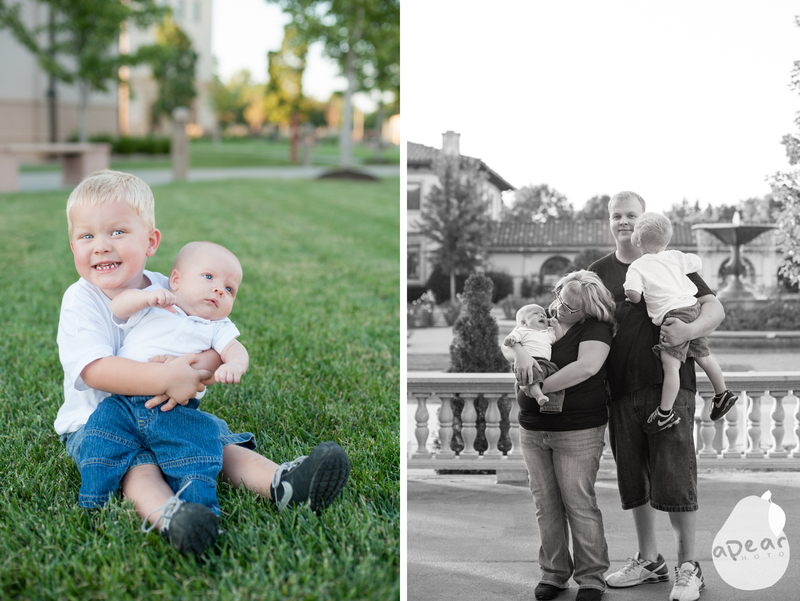 I truly am blessed to get to capture such great family moments with my clients. Thank you Ashely, Josh, Jacob and Caleb for letting me into your family dynamic and allowing me to capture this new stage in your lives. 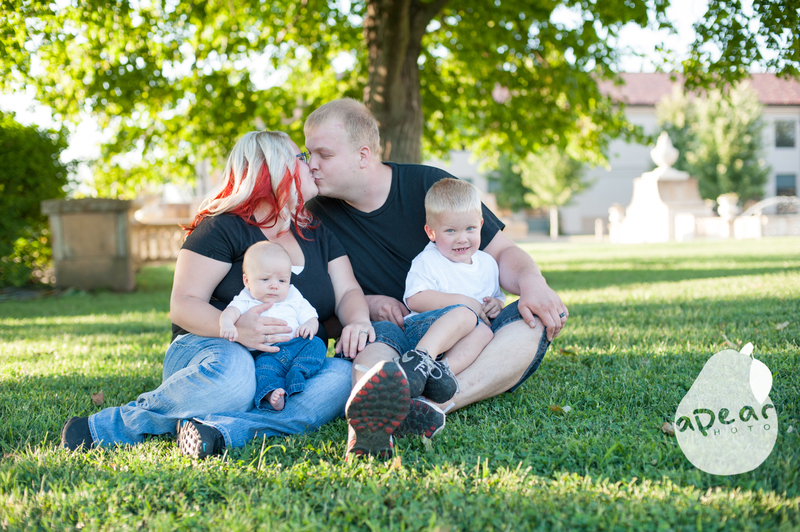 If you are interested in getting your family pictures taken please take a look around my site. Check out the Investment, and freebie tabs at the top to get more information about current specials and pricing. 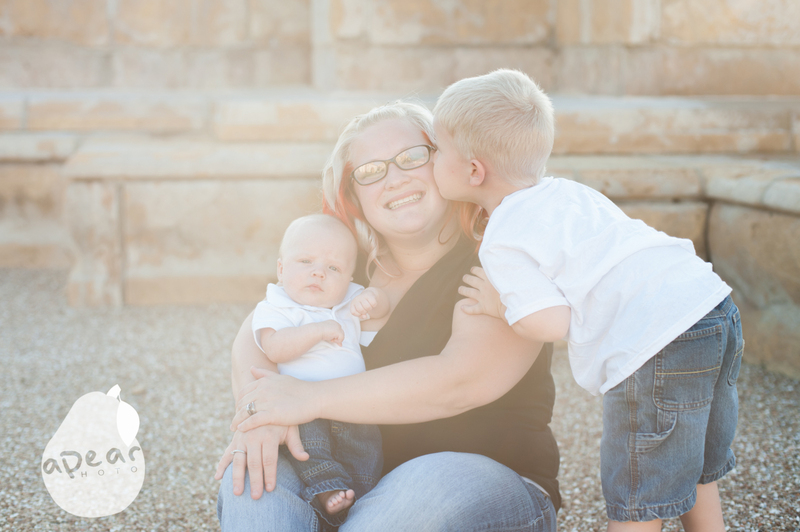 Please contact me to schedule your session. Can’t wait to see you in front of my camera, and to capture your uniquely beautiful life.